Are you considering getting pet insurance for your Chihuahua but wish to learn more about the topic first? Well then keep on reading, as the following information all about Chihuahua pet insurance may help you in your decision. It will give you peace of mind: No one expects their beloved Chihuahua to get sick or to have an unfortunate accident. If this does occur then it is likely that you will have to pay for some very expensive vet bills. However, if you have Chihuahua pet insurance then you will have peace of mind in knowing that these unexpected costs will be covered under your pet insurance policy. It will help you avoid difficult decisions: Most people have good intentions to put money aside for unexpected vet bills that may arise. However sometimes other things come up – for example your car may unpredictably break down. If this happens then you may end up spending all your savings on a car mechanic instead. If this is the case and your Chihuahua does then become sick or has an accident then it is likely you will not have the extra funds available to cover their vet bills. This will not be a nice situation for you to be in, as you will have to make a difficult decision in regards to your beloved Chihuahua health and treatment. However, if you have Chihuahua pet insurance then you can avoid making tough decisions like this. Get insurance early: One of the things you need to know about Chihuahua pet insurance is that you need to get it sooner rather than later. If you wait too long and a pre-existing condition arises then your Chihuahua may not get the full cover that they really deserve. Therefore, it’s best to apply for Chihuahua pet insurance the moment your new pet enters your home. Advances in veterinary medicine: Due to today’s advances in veterinary medicine, there is so much that can be done for your Chihuahua if they become sick or are hurt in an accident. For example just some of the options available to your Chihuahua include x-rays, ultrasounds, laboratory tests, surgery and even cancer treatment. However, these treatment options can be quite expensive. So another great thing about Chihuahua pet insurance is that it will help cover the cost of these expensive treatments if they are required. It’s important that you don’t rush out just sign up to any old insurance policy. Instead, you need to do your research and choose a Chihuahua pet insurance policy that suits your needs and your budget. Make sure the plan covers all your Chihuahuas needs – for example does it cover both accidents and illnesses? Do you own two Chihuahua’s? If yes then ask if the policy has a discount if you insure two pets at once. You should find out what percentage of your claims will be paid out by the insurance company and what percentage you will need to pay yourself. Find out exactly what the policy will cover. As an example your Chihuahua may have arthritis which needs continued treatment. Ask the insurance company how much they will be prepared to pay per year to help cover the costs in relation to this. 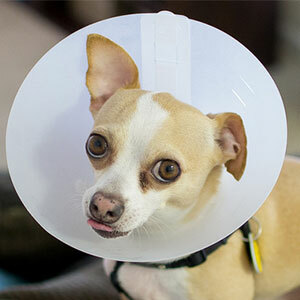 An important question to ask about Chihuahua pet insurance is if there will be any excess. If there is, then ask if this will affect the premium that you will pay. Ask the insurance company how long you will need to wait before lodging your first claim. These are just some of the questions you should be asking about your Chihuahua pet insurance policy. So use these questions, do thorough research and pick a policy that is right for both you and your Chihuahua. Your Chihuahua is your beloved and loyal companion and therefore they deserve the absolute best. So use the above information about Chihuahua pet insurance and make the right decision for your pet today.